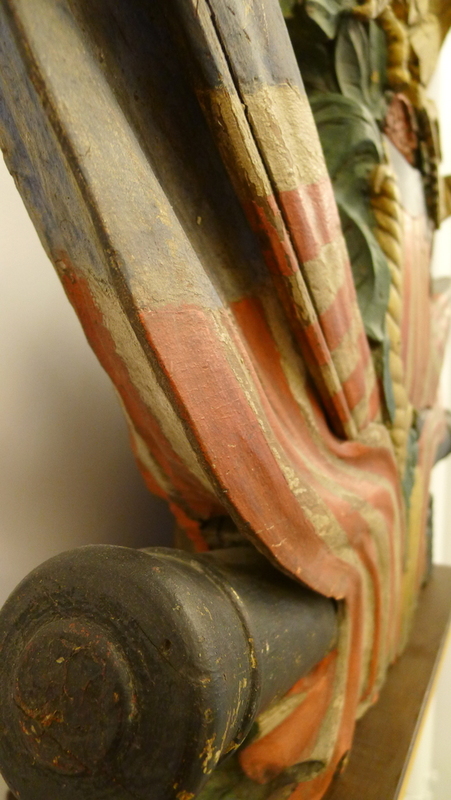 In response to a post on our Facebook page about declining attendance at historic sites and history museums, Ryan Schwartz, a Gallery Educator at the Museum of the American Revolution in Philadelphia, provided a helpful list of examples. His post follows. I'd be very happy to offer up some examples that I have seen implemented at institutions that I have been a part of, as well as some programs that show true innovative thought I have seen implemented elsewhere. Tavern Nights/Happy Hours/Pub Crawls that mix social lubrication with historical information and storytelling. Another version of this is Date Night for parents looking for a unique night out. Night at the Museum programs. I include in this margin a truly excellent Halloween program put on in a Midwestern living history site I once worked for that utilized its historic buildings and local talent to tell fright tales of old Europe and Africa and explore how they translated into the fabric of their new country. Partnering with local theatre organizations to develop short, strategically placed presentations that tie to museum's core mission. Having the flexibility to perform without the museum's walls also helps to project presence and draw in additional guests. Storytelling benches also fall under this category. Developing online resources for teachers and homeschooling parents. Far from keeping schools away because the "information is online," we saw a marked uptick of attention from local teachers for field trips as well as garnering kind commentary from distance learners. Taking advantage of historically-relevant popular culture, such as Hamilton and Turn, to generate programs and special talks. Cultivating relationships with local gathering places and restaurants, which is especially useful in urban settings. Having popular restaurants promote an upcoming evening with a museum's content can help extend customer loyalty from one institution to another by association. Creating additional daily programming within "traditional museums" to keep content and guest experiences fresh. These can include daily talks on various subjects of interest, the insertion of costumed demonstrations and presentations, crafts, etc. Join with other local historic sites as a consortium to present joint programs and talks: we're never in competition with each-other, after all . 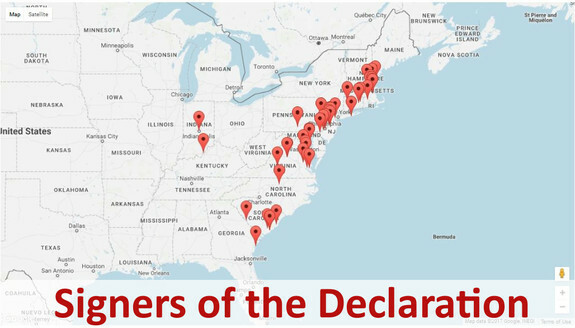 . . just civics-based entities working towards the same cause. Ensuring that your museum is marketed as being "family-friendly" while ensuring that the slogan is accurate in real-life. Creating hands-on learning spaces, offering Makers programs, including youth-friendly interactive elements as a part of or throughout museum galleries, etc. shows young parents that they can still indulge in a museum visit without the kids being an impediment. Dare to tackle current events and sensitive topics. We always worry about people being uninformed of issues relevant today, so we shouldn't be afraid to address those issues. We don't have to give them answers, but help them develop their own. Sensitive topics can also be an avenue when addressed sensitively: people are curious about them, if perhaps nervous about being the ones to broach the subject. So: let's talk about feminism, politics, LGBTQ, gender identity, and all these other taboos and how history can place these constructs into context. Be a community player. Our museums are almost inevitably part of a greater community and the movement towards creating stronger communities is ever-growing. Making sure that your institution is visible in supporting the community is exceptionally important-- craft fairs, farmers markets, community festivals, run/walks, these are all popular outreach possibilities which are incredibly viable for museums to interact with. The central theme of many of these is visibility: be seen as present and accessible. Get out beyond the walls and into the streets, be vibrant, be fun, be daring, be authentic. Colonial Williamsburg's "Under the Redcoat." For a weekend, the site was occupied by British troops (reenactors) leading up to the American victory at Yorktown. Guests were encouraged to take part in the action, serving as citizens, spies, and soldiers for the occupying army and the Revolutionary underground. Its worth noting that Williamsburg's recent financial woes, by their own admission, greatly stem from their for-profit side, rather than their educational mission. Conner Prairie's Underground Railroad experience "Follow the North Star." In this program, students and guests engage with the issue of slavery in an honest and personally impacting way. Gettysburg National Military Park: Not only does NPS continue their fine legacy of informing the public, they offer exceptional talks, tours, living history demonstrations and, recently, this park has become the proving ground for NPS's concept to reshape the terrain to give guests a more immersive look into what the battlefield would have resembled in 1863. Minnesota Historical Society's History on Wheels Program, bringing history to the masses, especially students. Minnesota is a vast state and many of its citizens are far from population centers where traditional museums are located, so they branched out with a neat little program. Pamplin Historical Park in Petersburg, VA, offers overnight and weekend-long experiences to immerse guests of all ages in the Civil War soldier's experience. Eastern State Penitentiary not only preserves the first major prison in America, but it offers incredible flexibility to exploring guests with audio tours as short as thirty minutes or as long several hours. Their recent exhibit, "Prisons Today" deals with remarkable clarity on current events issues of massed incarceration. They Halloween offering, "Terror Behind the Walls" is likewise apparently something to behold, though I've not attended myself. Fort Ticonderoga in upstate New York recently re-invented their interpretation program, leveling up their authenticity and taking great pains to ensure that live crafts are being demonstrated on a daily basis. This may be the best living history program in the continental United States and its success has recently been answered with an outpouring of funds for another round of upgrades. The United States Holocaust Memorial Museum was and is one of the most remarkable in the nation. It deals unflinchingly yet sensitively with one of the most difficult-to-teach subjects of all time. They also have a fascinating program where interested guests can follow the life of an individual throughout the museum, which is a sobering and heart-wrenching experience. It has been emulated many times, notably by the Titanic traveling exhibit. The Museum of Popular Culture (Seattle, WA) is an exceptional space, though decidedly non-traditional. It does excellent work in exploring current events and detailing how phenomena like Game of Thrones, cell phones, or Star Wars shape the world and the mindset of the people who live in it. I do not mean to leave any out, but these are the ones that I have seen or that have been recommended to me by those I trust and know. Just add your photo as a comment on our recent post announcing our Historic Travel Challenge, post your photo to our Facebook page, or send it to us and we'll confirm that you're the first at that site and send you your coupon code. The home where John Adams (and later John Quincy Adams) both lived, Peace Field. Pictured below, from left to right: The site where John Hancock's house once stood; John Quincy Adams's birthplace, not a Signer, though his home is just a stone's throw from his father's, who was a Signer; and, Peace Field, where they both lived. You can get your own shirt "1776 Historic America Road Trip to the Birthplaces and Homes of the Signers of the Declaration of Independence" t-shirt here. If you visited one of these that hasn't been claimed, post your photo to our Facebook page or send it to us, and if we have missed any birthplace or home, send us a note. And if you'd like your own "1776 Historic America Road Trip" t-shirt, you'll find it here. 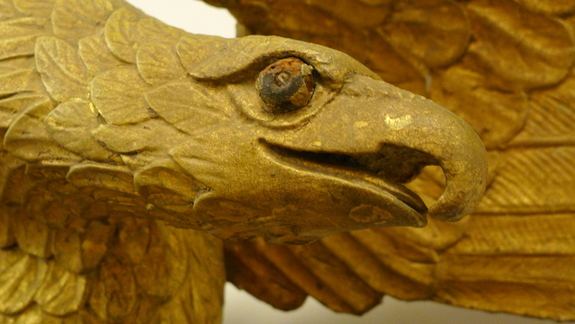 This hand-carved patriotic wood carving featuring an American Eagle with a distinctive patriotic pattern is attributed to Alexander Swasey (1820 - 1860), a noted woodcarver and boat-builder of Newport. 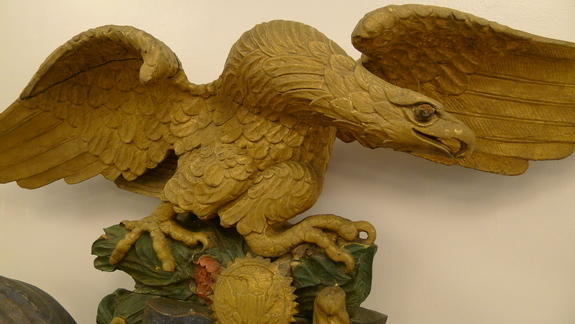 Carved around 1840, the eagle stands about four feet high and has a wingspan of about five feet. 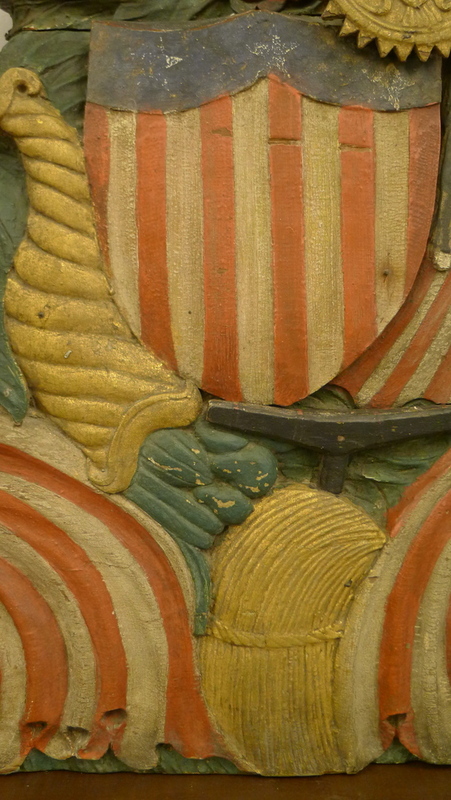 Painted in colors of red, white, blue and gold. 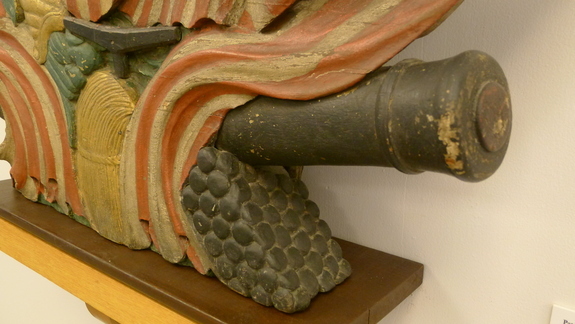 The talons of the eagle grasp a small cannon. 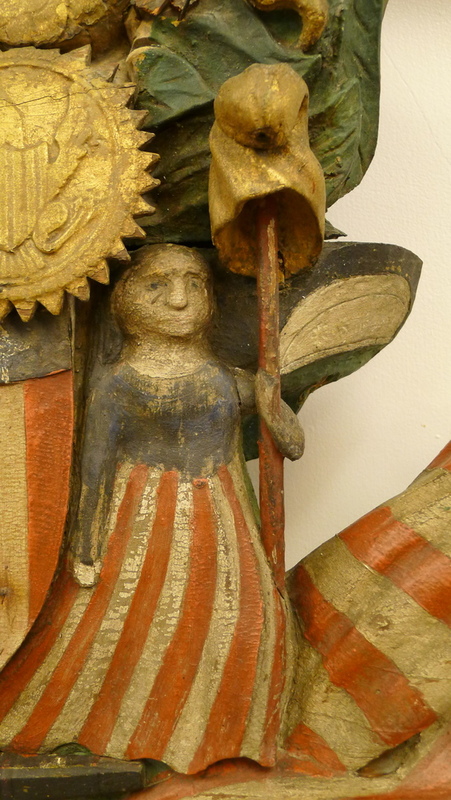 The carving also includes a shield, the seal of the United States, Lady Liberty holding a staff and cap, a cornucopia with tobacco leaves, and sheaves of grain. 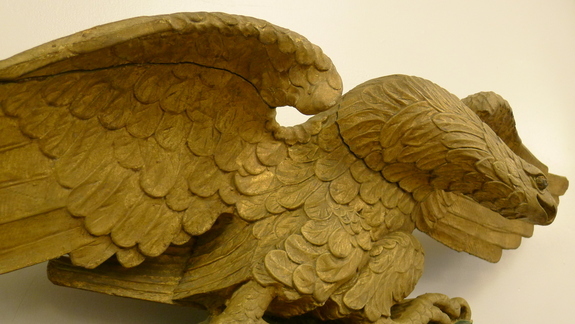 Little is know about this remarkable patriotic carving. It may have originally been made for a political or social group in Newport. 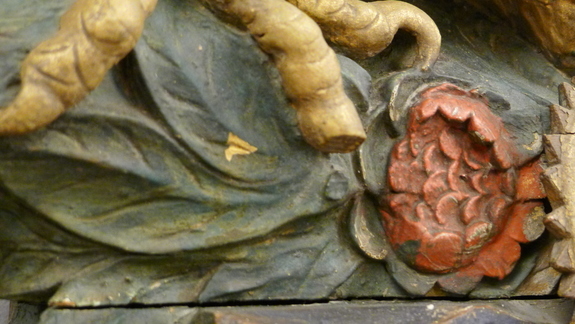 For many years, after it ended its working life, the carving adorned the entrance to Bateman and Gardner's Meat Market on 5 and 7 Pelham Street in Newport. 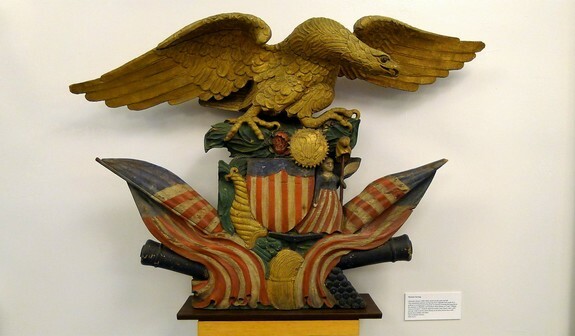 The carving is now in the collection of the Newport Historical Society in Newport, Rhode Island, where this carving is currently on display. 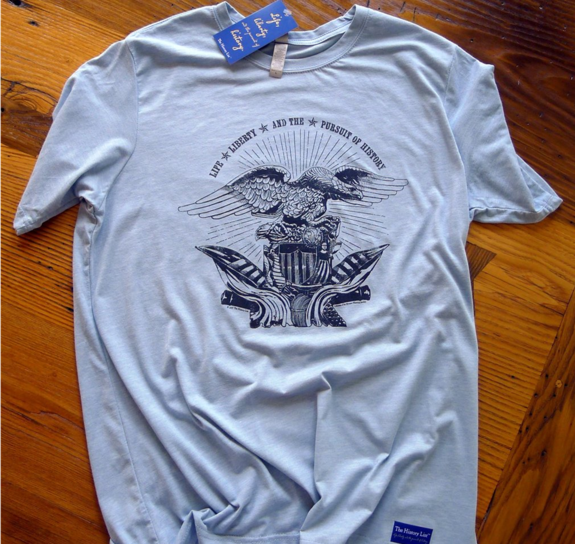 In partnership with the Newport Historical Society, we created a t-shirt, sticker, and magnet with our rallying cry, "Life, liberty, and the pursuit of history," surrounding the patriotic wood carving. You may purchase them at The History List Store. To be notified of future products in our "Pursuit of History" collection, sign up for The History List Insider. 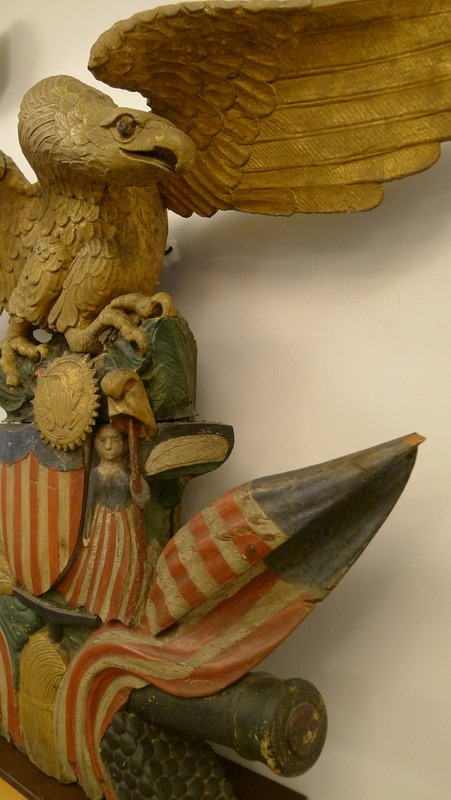 If your organization has a distinctive historic item that you'd like us to consider for a future design and product, please send us a photo and note. 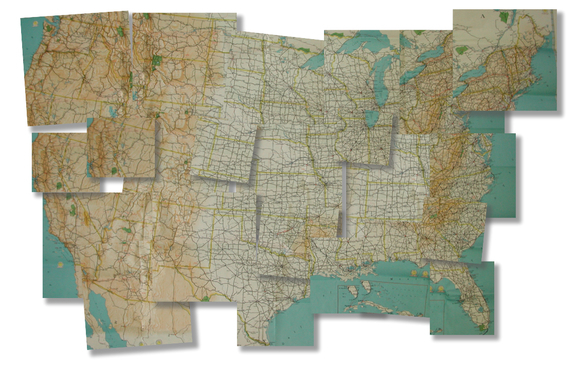 With summer near, we’re pulling together information on travel to historic sites, and we hope you’ll contribute your tips and recommendations—even entire trip itineraries and pictures—to create this helpful resource. When I launched The History List my goal was to connect people to the historic sites, events and exhibits in their communities and across the country, so it seems only fitting that we’re adding a section of The History List dedicated to travel and we’re now focusing our sister Facebook page, Seeing History, to this same topic. 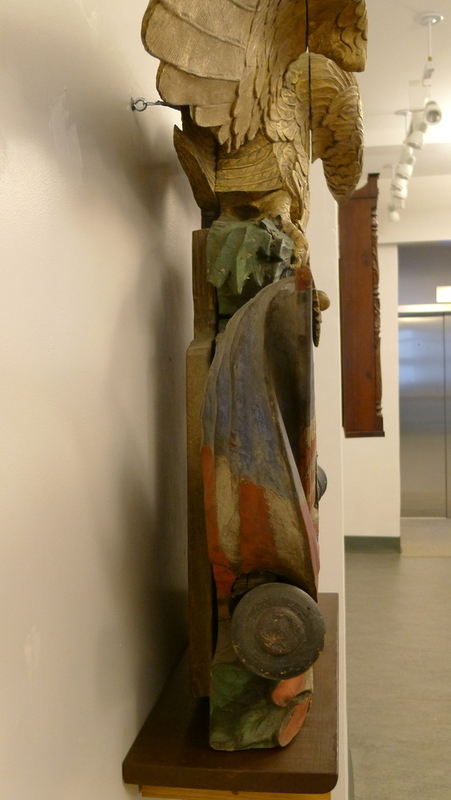 Our first trip comes from Betsy Havens. Betsy lives in Louisiana and has been on a mission to visit the homes of many of the Founding Fathers. Betsy wrote up her list, which we’ve posted in the new Travel section of The History List, and we’re also posting on our Seeing History Facebook page. Please send us a note if you’d like to have us post your trip, or send your questions and recommendations. Whether you have a list or itinerary to share or have questions as you plan a trip, we’d like to hear from you.